When we hear the name Aakash, our hearts fill with the joy of happiness. The name is specially given for the low cost tablet computer, which plays a great role in the life students and teacher as well. As we know that Aakash is the first in the series of Android based tablet produced by British company Datawind. Indian Government launched it for the better enrichment of education. It gives unique and impressive kinds of features and applications which are generally used by the people of all belonging. It acts as your loving friends in your life. With this Aakash Tablet, you can have great deals of entertainment in your life. It is not only just a part of your happiness but also a guideline in your education. Many features and applications like good processor, long battery back up, connectivity and network, captivating touch Screen, Fine display, well defined operating system, fast browser etc. are the key to draw the attention of many individuals. One of the most attractive features of this Aakash Tablet is that it turns into mini laptop with short screen whenever you want, and you can also make a call with this Tablet. The new launched Aakash UbiSlate 7Ci Tablet PC also runs on Android version of 4.0.3 operating software. It is built under Cortex A8 1Ghz processor which helps you to enjoy gaming very well. It has 512 RAM and 4GB flash memory along with long term battery back. As far of this entertaining part, you can now remain connected with your intimate friends and loved ones through WiFi and Internet Option. You can also experience high quality of multimedia as it has HD video co-processor. With the help of USB port you can transfer your require data from one device to another. This device also renders you a front VGA camera that helps you to chat with your friends, and classic G sensor application is also paid in this Tablet. You can also experience high quality of multimedia and web browsing as it has Ubi server browser which is very delightful feature of this Tablet. It provides your tremendous speed while you browsing any web pages. Aakash Datawind UbiSlate 7C+ Tablet PC is another new model of Aakash Tablet. It is SIM enabled Tablet that you can make a call in addition of all features and applications. The well applicable HD video co-processor delivers high quality video content making it a perfect multimedia device. This also comes with many preloaded educational sites like Yahoo Mail and Yahoo Cricket, Indian Express and more that help students to enhance their knowledge and skill. It also has captivating touch panel, 512 MB RAM, and 4GB flash memory, G-sensor, USB port, and WiFi GPRS. Datawind is the British Company, which is famous for the low cost Tablet, has launched other model of Aakash Tablet, named Aakash UbiSlate 7C+ Edge Tablet, which runs on the Android 4.0 operating system. It has Cortex A8 1 GHz processor, 512 MB RAM and 4 GB ROM that gives great experience of gaming and Picture Quality. It has SIM facility that enables making call to your loved ones. With this new launched Tablet you can share your love and happiness with your dear through the application of WiFi and EDGE (2G) facilities. However, it also supports 3G but a dongle is required for that. You can carry your all movies and Music where ever you go with this Tablet as it has 32 GB expandable memory. You can also get connected with your loving friends through the social media sites like Facebook, Twitter, and Gmail etc by paying only some data charges. It has a front facing VGA camera which will help for 3G calling and also supports any ordinary Pen Drive. 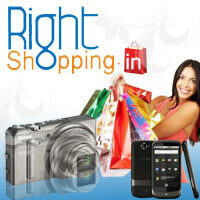 Rightshopping.in is an online store where you can get this excellent model in affordable price. This online site is always ready to keep you happy and with its faithful service. Just go through the link www.rightshopping.in/i.asp?b=Aakash&cid=108&i=Aakash-Tablets-India-Online to select this fantastic model of Aakash Tablet, and deliver it your mentioned address of your loved ones.